There are three weeks left of the European Tour season and plenty of eyes will be on Justin Rose and Tommy Fleetwood at Regnum Carya this week. Fleetwood leads the Race to Dubai standings but Rose has put himself in the picture with three events to go after his victory at the WGC-HSBC in China last week and there is still time for a few twists and turns. The test they and 76 others face in this week's Turkish Airlines Open should be a straightforward assignment on a course that is more geared towards holidaymakers than Europe's golfing elite. But that means it should prove to be an open affair and as Rose and Henrik Stenson, runner-up last week, are set to go off at single-figure prices, there could be some value to be found further down the list. One character who deserves consideration is the pair's long-time Ryder Cup colleague Ian Poulter. He has Turkish form figures of 5-2-16, although those performances came on the nearby Montgomerie Maxx National, and after suffering last year he has managed to force his way back up the world rankings to the brink of a place in the top 50. 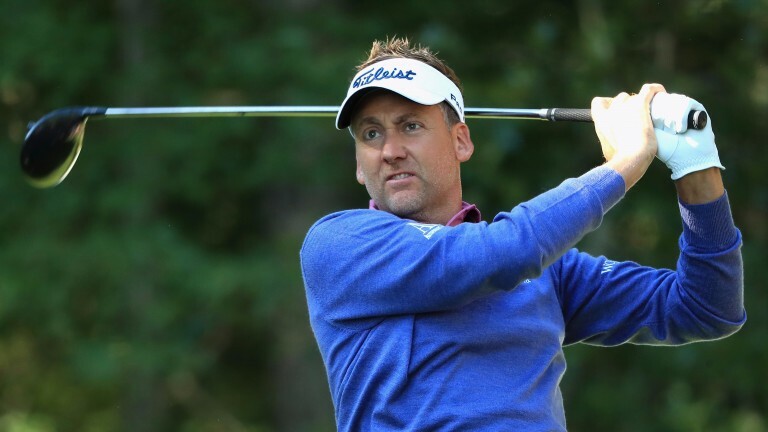 Poulter finished second at the Players Championship and third at the Canadian Open, while he was 15th at the CJ Cup in South Korea on his last appearance and has not missed a cut in his last 16 outings. One of his key aims for the next ten months will be to force his way into Thomas Bjorn's European team for the Ryder Cup in Paris and this looks a good week for him to promote his case. He was unable to capitalise on a six-shot halfway lead in this tournament three years ago, but this is a course where big hitting should not provide players with a huge advantage and Poulter's course management abilities should be a big asset. He has not got over the line since the 2012 WGC-HSBC, but this could be the week. Another player who has suffered his fair share of setbacks is Abingdon's Eddie Pepperell, who was forced to go to qualifying school last year to regain his card after a disappointing campaign. However, that looks to have been a wake-up call as the 26-year-old has been in much better fettle and has posted improved results lately. Spurred by his 16th spot at the US Open, he has claimed top-ten finishes in five of his last six tournaments and he continues to set his sights high. He told the Oxford Mail that he thinks he is capable of winning one of the three remaining tournaments of the season and he has decent memories of Turkey, having finished tenth at the Montgomerie Maxx in 2014, one of six top-ten finishes that season. If he can continue to build on that confidence, then a first European Tour success may not be that far away. Kiradech Aphibarnrat was off the pace in finishing 25th in this tournament last year after a disappointing first round of 72, but he heads to Turkey in decent nick this time. He finished 24th in China last week and that was his sixth top-25 finish in his last seven tournaments. He is 28th in the greens-in-regulation standings, which should bode well for the examination he is set to face this week and he could make a bold bid. Martin Kaymer has not won since claiming his second Major at the 2014 US Open and the German, who has also won the Players Championship and eight European Tour events, has slipped down the rankings. His recent play has been solid, and although his 20th at the British Masters was his best performance since Augusta, at the prices it is worth a small investment that he can finally make another step forward and become an each-way proposition. The ultra-consistent Englishman will be buzzing after his success in China and he finished third in his only previous appearance in the tournament in 2013. He could easily claim another success. Stenson looks to have put his early-season wobbles behind him and was tied for second behind Rose last week. Claimed a place in the top ten in 2013 and 2014. The Dane was a comfortable victor last year but has claimed just two top-20 finishes in his last ten events. The Sheffield lad claimed top-15 finishes in his last five events, including a victory in the European Masters. He is always a danger when playing on a European course where length off the tee is not a huge factor. Hatton was a creditable 11th in China last week after successive wins at the Italian Open and the Alfred Dunhill Links. Tenth last year, but his price is short enough. Course overview This will be the second year the tournament is played at Regnum Carya after the first three incarnations were played at the nearby Montgomerie Maxx National. It is the sixth tournament of the eight European Tour events that make up the Rolex Series, which will climax at the World Tour Championship in Dubai in two weeks. Designed by Peter Thomson and opened in 2008, the course also hosted a Challenge Tour event in 2010. Thomson tends to design courses that require excellent management rather than just the ability to blast the ball off the tee and there are plenty of instances where one side of the fairway or the other needs to be found to afford players the best opportunity to get close with their approaches. Many of the fairways slope and there are multi-tiered greens. Water could come into play at the tenth, which plays as a par five for tourists, and ahead of the green at 15 for players looking to get on in two, but the three par fives should not create a host of problems for players of this calibre. Pine trees lie in wait for any errant shots and have to be considered, but as this is a resort course primarily catering for holidaymakers, it should not be a huge challenge for golfers of this standard as last year's winning score was 20-under-par. Story of last year Thorbjorn Olesen went into the final round with a seven-shot cushion and was able to resist a charge from David Horsey to earn a three-shot win. Weather forecast Skies should be clear for most of the week, although there is a significant chance of rain on Saturday afternoon. Winds are set to be light. Type of player suited to challenge Steady golfers with good course-management skills should do well. It's no bombers' paradise and the test should be straightforward.